Please click on the tabs below. 1. 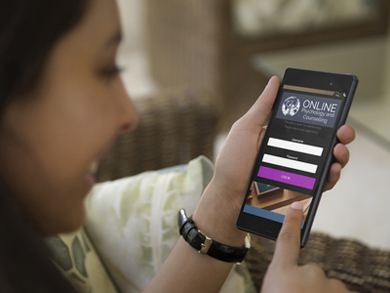 How can I be sure that the online platforms you use are secure? I use an encrypted, secure and confidential email, messaging and videoconference platform. I use the same level of security as European Union and NHS services demand, whilst also high enough to meet the stringent US HIPAA laws. 2. Call I use Skype to have my sessions with you? 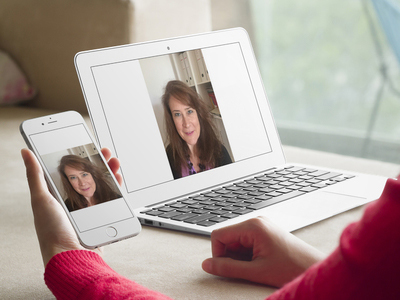 The application I use for face to face contact is like Skype, but it is more secure and has better stability with fewer glitches. You won’t have to download anything to your desktop: all you do when you start a session with me is click on a link. 3. Why see a clinical psychologist? Clinical psychologists are trained to work with individuals of different ages with behavioural, emotional and/or psychological distress which disrupts their everyday functioning and well-being. They aim to reduce distress and to enhance and promote psychological well-being, minimise exclusion and inequalities and enable patients to engage in meaningful relationships and valued work and leisure activities. Choosing a Clinical Psychologist guarantees that you will meet with a well-qualified professional with among the highest standards of training in treating mental health issues available in the UK. They will have completed a minimum of 6 years of study – an undergraduate degree plus a three year doctorate. They will have studied more than one psychological therapy model (CBT, systemic and psychodynamic amongst others) which means they can understand and treat your problems using a wide range of ‘tools’ or techniques. The term "Clinical Psychologist" is protected in law. In order to practice as a Clinical Psychologist I have not only met the qualification requirements, I practice to the highest ethical and professional standards and I am registered with the Health & Social Care Professions Council and British Psychological Society. We are trained in the use of psychological formulation. This is a method of producing a shared understanding (often written down and/or drawn in a diagram) of your strengths, past experiences and current difficulties which can help sharpen our understanding of what has brought you to therapy, as well as pointing us in a useful direction towards resolution. It can be such a helpful way of gaining a new perspective, compassion and understanding for yourself, as well as hope about ways forward. Training in Clinical Psychology includes experience working with young children, adults, older adults (including people with dementia diagnoses), people with learning disabilities, and more. It is a thorough training in psychology across the lifespan. Alongside therapy training, we also learn how to conduct detailed psychological assessments including assessments of cognitive functioning, as well as conducting research to doctoral level. This broad, varied and thorough understanding of human psychology, alongside training in multiple therapies, is what places Clinical Psychologists a unique position to understand your difficulties through multiple lenses, not limited by one particular model or approach. 4. What’s the difference between counselling and clinical psychology, and do you offer counselling? People often use the terms ‘counselling’, ‘psychological therapy’, ‘psychotherapy’, or ‘psychology’ interchangeably, but in fact they differ. These differences can be subtle and will vary according to individual practitioners. Let’s look at the similarities first. As a client, the similarities you are likely to notice are that you will have the opportunity to explore your feelings and experiences safely with a qualified professional. In addition to listening carefully and asking relevant questions, both psychologists and counsellors will develop an understanding of your distress based on relevant theory, and will use this to guide the sessions. Another similarity is that both psychologists and counsellors will use an initial session (or sessions) to decide with you if they are the right person to help. One of the main differences you are likely to notice is that psychology tends to focus in from a broad examination of your life towards identifying a particular issue that may be sustaining your problems, and works to overcome this using tried and trusted techniques. Counselling, on the other hand, often maintains a broader focus. It may be helpful to think of psychology as being based in traditional science, and counselling as a more philosophical approach. This is reflected in the training: a clinical psychologist must by law have a doctorate in clinical psychology, while a counsellor should have at least a diploma recognised by one of the professional bodies (e.g. the British Association for Counselling and Psychotherapy). The initial training each profession receives varies in length and breadth: Counsellors’ train in one therapy model with a particular age group, whereas clinical psychologists are trained in several models and several client groups. Each approach has its pros and cons, and at the end of the day which you choose is very personal. Just bear in mind though that the title ‘counsellor’ is not protected in law, so it is important to check what training your chosen professional has. At the moment Online Psychology and Counselling.Com is just me! So no, unfortunately I don’t strictly speaking offer ‘counselling’ as I am a psychologist. My vision in the future is to bring on board some counsellors to work alongside me. Then clients will have a choice between psychology and counselling for their therapy. 5. What can I expect at the first appointment? Your first appointment is called an ‘assessment’. This is 1.5 hour session via video call where I will ask you some questions about the problem you are seeking help with and give you some questionnaires to fill out (much like the ones on the Take a Test page on this website). I will use my expertise to make a psychological ‘formulation’ and treatment plan. A formulation describes your problem and how severe it is. It features an explanation of how your problems started, what might be keeping them going and therefore what needs to change for you to feel better. Together we will agree to a treatment plan that will facilitate those changes. Your treatment plan will feature one of the options here (see ‘Therapy Options and Fees’ page). If I think I am not the best person to help you, I will make some recommendations about where you can get further help. 6. How long will my therapy be? This very much depends on the problem you are seeking help with, but generally I recommend you start with 6 sessions and then we can review to see if you require more. Generally speaking moderate to severe problems with anxiety require 12 sessions, whereas milder problems can be helped in 6. For depression the recommendations are 16-20 sessions, although again like anxiety if the problem is not too severe you may not need as many. Generally speaking therapy is more effective if it is regular and weekly. 7. When do you offer sessions? I have a variety of days and evenings I offer therapy. Please see my online calendar to see my availability and book your session in. 8. Can I see you face to face? Yes! That is, you can see me face to face via video call, or videoconference like Skype. This isn’t ‘in person’ of course but has many of the same advantages. I offer a small number of appointments 'in person' at my Worthing consulting rooms. 9. Do I need any special equipment to have an online counselling session? 10. How much do you charge and how can I pay? Please see my Therapy Options and fees page. I also offer some cheaper all inclusive packages. If you would like to try avatar therapy in a virtual world I am currently preparing for a research study and you can receive 6 sessions of free therapy this way. Contact me for more details. All sessions are payable electronically prior to the session via my secure online booking platform. If you wish to pay by BACs or regular direct debit, ask me for more information. 11. I have health insurance, can I use that to pay for therapy? Yes, this should be possible depending on your insurance company. Contact me to discuss further. 12. What happens if I cannot come to a session I’ve booked? Please let me know 48 hours in advance. There will be no charge and we can re-schedule. If you cancel or do not attend your session with less than 48 hrs notice you will pay the full fee for the session. In the case of pre-paid ‘packages’ you will lose the session for that week. 13. What happens if the technology goes down during a call, and we have to abandon the session? Internet and technical glitches happen, and I’m afraid working online means this will inevitably occur at some stage. I do everything I can to make sure this doesn’t happen e.g. plugging into ethernet can make a huge difference and using a modern computer. However, if it does happen we will finish the video call and try going back in. Often that solves the problem. If it doesn’t and the problem re-occurs then we will cancel the session and I will offer you another free of charge if the problem was in the first 20 minutes of our session. 14. Will you keep my information confidential? I am registered with the Information Commissioner’s Office for the purposes of storing sensitive information. I am legally bound to protect your information and cannot share it with others unless I am worried about your safety, or that of someone you care for. 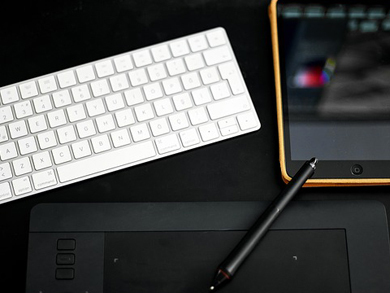 Online work involves using videoconferencing and other online mediums. I adhere to European Union data protection laws and only use encrypted, secure platforms. I take your data protection very seriously and abide by professional practice guidelines such as the BACP guidelines (link to resources page). Like all therapists I have regular clinical supervision. Clinical supervision provides an opportunity for therapists to reflect on and review their practice; and change or modify their practice and identify training and continuing development needs. In supervision I do not share identifying details of my patients and my supervisor will also treat this information confidentially. 15. What can I do if I am not happy with the service? 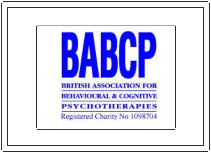 You can contact the HCPC that provides my registration as a clinical psychologist, the BPS that I am chartered with, or the BABCP that provides my accreditation in CBT. I would hope that you can talk to me first and I am eager to receive feedback so I can make my therapy more effective. 16. Can I ‘friend’ you on Facebook, or follow you on Twitter? In therapy we avoid what are called ‘dual relationships’. They are when you have a friendship or intimate relationship with someone you have contracted for a professional therapy service. These are unethical and prohibited by all the main professional bodies in their ethical guidelines. This is to protect your wellbeing and make sure the therapy is as effective as possible. Being a friend on Facebook would be contravening this and therefore I will not respond to friend requests. Following me on Twitter is fine but I won’t respond to any of your tweets as this may betray your confidentiality. More detail can be seen in my social media policy.